So, what is Reiki anyway? Reiki has been circling back into my practice more regularly since the new year, and it seems like a perfect time to write a little post about this ancient, subtle, and powerful hands-on-healing method. I am a Master/Teacher-level Reiki practitioner in the Usui tradition and lineage. I have been studying energetic healing and the chakra system since 1995, and I have been formally practicing Reiki since 2003. I enjoy calling upon Reiki energy for my own healing, cleansing the energy of a space, and for hands-on healing treatments for clients, family members, and friends. 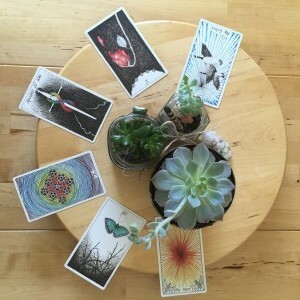 This Spring I conducted two Reiki workshops in the Bay Area for therapists who also wish to become Reiki practitioners, and incorporate this type of energetic healing modality into their practices. In these workshops, I shared information about the psychology of the chakra system, taught specifics about Reiki I & II, and 'attuned' the participants to become Reiki practitioners. 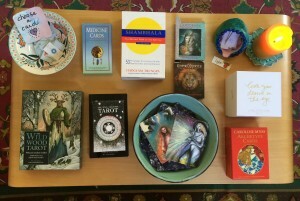 We gathered in a lovely space in Mountain View, and it just felt so good to send more healers out into this world. I offer 75-minute Reiki sessions. You may think of scheduling a Reiki session as a self-care and self-inquiry treat to yourself, much like getting a massage or acupuncture. You don't need to be my psychotherapy client to receive a Reiki treatment, as I offer them independent of psychotherapy. At times when appropriate, I also incorporate Reiki with psychotherapy clients who are interested. During a Reiki treatment, you will lie comfortably on a massage table, as you remain fully clothed. You may wish to gently close your eyes as you lie quietly on the table and relax fully into the treatment, remembering that you do not need to do anything to increase the effectiveness of the treatment. The room will be comfortably lit with either candles or soft lighting. Soothing music may be played to enhance relaxation. I will spend a few minutes getting to know you better, as well as discussing Reiki treatments and finding out what your reasons for coming for a treatment might be. Anything that you choose to share during your treatment will be kept confidential, remembering that this is a safe and sacred environment. If you have any significant areas of physical discomfort, be sure to share that information before the treatment begins, or as you become aware during treatment. I then will gently place my hands over/on the major energy centers, or chakras, of your body, leaving the hands in each position for a few minutes, helping the body to bring itself into balance as it draws in the healing energy of Reiki, and may spend additional time at other areas of the body that seem to be calling for attention. During the treatment, you may experience a variety of sensations throughout your body such as heat, vibration or tingling, pulsation or flowing energy, lightness or heaviness, deep relaxation, and occasionally temporarily intensified emotions as you release blockages from the past. You may also fall asleep for all or part of the treatment, or find that you do not experience any physical sensations at all. This is perfectly normal, since Reiki does not need to be perceived for you to receive its many benefits, nor do you need to be awake during the treatment. You may also wish to read the FAQ page on the Reiki web site. Or feel free to contact me to discuss scheduling a session.